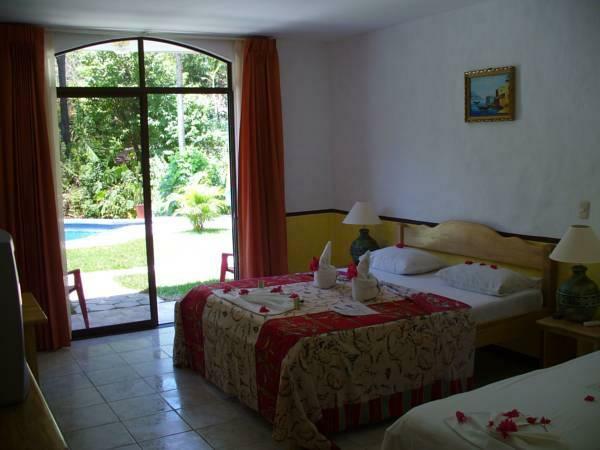 ﻿ Book Hotel Belvedere Playa Samara Costa Rica (Samara) - 2019 PRICES FROM $77! Hotel Belvedere Playa Samara Costa Rica is located on the shores of Samara Bay and within walking distance of a bus stop. It features 2 outdoor swimming poosl and a hot tub, and the beach is only 1640 feet away. The air-conditioned rooms at this hotel offer free WiFi, cable TV, a work desk, a fridge and a safety deposit box. It has a terrace with pool views. The bathroom is private and has a shower and free toiletries. Restaurants and supermarkets are an option for guests in Samara Town Center, only a 10-minutes walk from Hotel Belvedere Playa Samara Costa Rica. Activities like diving, fishing, hiking and horse riding can be arranged by the hotel. Liberia International Airport is 1 hour and 30 minutes’ drive from the hotel and Diria National Park is 45-minute drive away. Shuttle service is available for a charge. Property will perform renovations on the restaurant from September 26th, 2018 to October 30th, 2018. Meanwhile breakfast will not be serve. For breakfast alternatives please contact property directly.